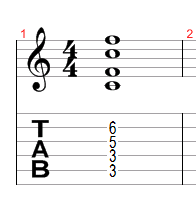 But let's have a listen to an E5 chord played in 3 different positions. Listening to the tonal qualities could you figure out where each one is played on the neck ? The chord is repeated twice on each position. It's easier to do that when you have 3 comparisons together but if you didn't have them you could still hear the difference between an E5 chord played on the low E, A & D strings at the 12th and 14th frets and an E5 chord played on the A, D and G strings at the 7th and 9th frets. 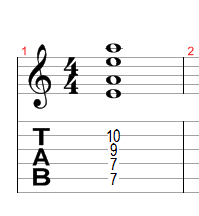 If you were listening to a song then you may not be able to tell the difference between the 2nd and 3rd examples, only that they are brighter than an E5 played on the lower strings. But because you know there's already 2 examples of that chord, you can use that to figure out what the 3rd shape is. For example, if you listen to the original Black Sabbath version of Paranoid you can probably tell where the chords are played just by the way they sound. Sticking with the humble E5 shape here's one of my favourite shapes of all time. It expands on the typical E5 shape performed on the 2nd fret and adds extra octaves and 5ths. You can also move it up and down the neck to serve as an alternative to basic power chord shapes. It widens the sound somewhat to achieve a similar effect to 2 guitarists, as if one guitarist was playing a higher octave of the same chord. Just think of the lowest 2 notes being the top half of your regular power chord shape. The lowest note in this new, expanded shape is a 5th, not the root. Make sense ? Here's how you would play an F5, G5 and A5. So we've just expanded a chord to make it wider. 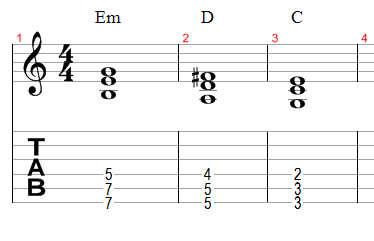 Here's a way of thickening out a chord and making it sound deeper. You add a 5th to it, an octave below. Ok, I'll just show you instead. Here's 3 chords. 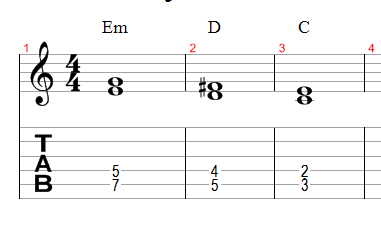 Em, D and C.
Now here's those same chords with an extra 5th interval added below. 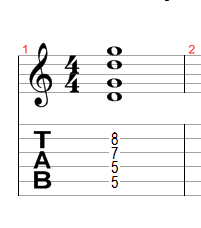 The 5th is now the first and lowest note but these chords still retain their tonality. They just sound deeper now. 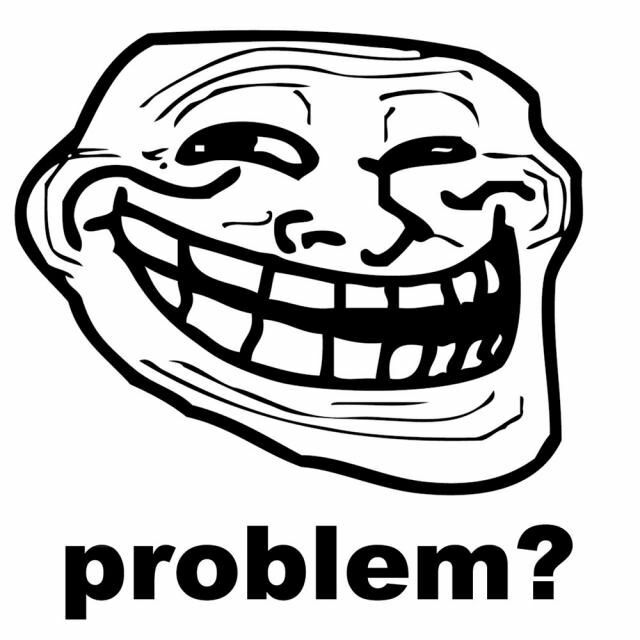 So, by shifting notes around and changing the inversion of a chord you can really change the tone. Playing the chord on different strings also achieves that effect. You can also widen up the sound of the chord by adding extra octaves and 5ths, like I've shown you before. 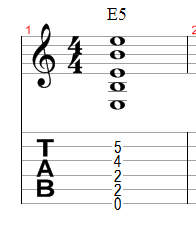 This is just scratching the surface of chord inversions... I haven't even talked about other intervals. Just a few different chord ideas added to your arsenal will give you more options, whether it be recording and playing live. It can also your transcribing abilities when you're trying to work out songs by ear !